Click the logo for more product information. What can a Respicaire Ultra Violet Air Treatment System, do for you? 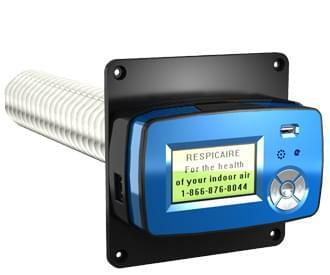 Respicaire dedicates its energy to making your indoor air environment a safer, healthier place to live. With more than 85 years of expertise, our air cleaning technologies continue to make a difference in improving the health of indoor air environments everywhere. The Respicaire PHPCO features our patented Spiro-Plate Air Sterilizer System. This innovative system uses powerful air cleaning processes to treat your indoor air for mold, virus, bacteria & noxious gases. The system begins by creating multiple wavelengths of UVC ultra violet light. These wavelengths act as potent germicidal agents to kill & control airborne molds, virus & bacteria. 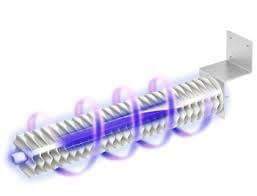 The "Spiro-Plate" sterilizer creates an intricate catalytic reaction producing friendly "air oxidizers". These natural "oxidizers" treat your indoor air four specific ways to significantly enhance purification. This means that you can target airborne gases as well as airborne microbials to dramatically intensify indoor air cleansing.